Making a reservation for accommodations online in Sevilla is something more and more of you want to do to save time in making their travel plans. Most of you have gotten over the (often unfounded) fear of having your credit card information stolen over the internet when reserving in the U.S. You may still have doubts about making that reservation online from a site in another country. Anything from confusing translation to unsecure servers asking for your credit cards can make the process harder. And there is always a dreaded overseas call if you don't get a confirmation or have a question: will they speak English? Will they even answer the phone? 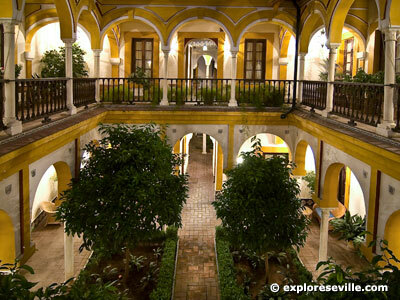 In order to help you find a hotel or hostal I work at sevilla5.com to offer you an easy way to make a reservation online with a professional company which has a real office and answers the telephone! On most days the person answering the phone will be me. Of course the easiest way to make a reservation is online, but it's nice to know there's someone in an office who can help if you have any questions. This is also a way to support this site - exploreseville.com - and my quest to bring you as much commercial free content as possible. If you enjoy this site, find it useful and plan to stay in Sevilla then you can help support it by making a reservation through sevilla5.com. I always encourage choice and everyone has their preferences for accommodation, so you will find some hotels from other reservation web sites which I like. If you book I will also earn a commission. So to thank you I have put together a list of places which I think are good places to stay in locations you would want to be in when visiting the city. There are a few exceptions when the hotel outweighs the location. But I have thrown out just about any place which is a business hotel, outside the city center, or simply doesn't make the cut when it comes to service and installations. 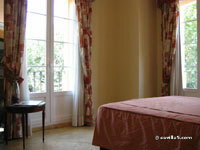 Five star hotels in Seville should offer the most comfort, with the largest rooms. Expect a very high level of customer service and to be helped with most any (reasonable) need. All those extras you want to do should be there: enjoy a breakfast buffet, call room service late at night, maybe a get a spa treatment or massage, or enjoy a dip in the pool (in most cases). Four star hotels in Seville should offer a higher level of comfort, with significantly larger rooms than one, two and three stars. Expect higher service levels and extra amenities in most cases. In the cases of the really good four star hotels, expect them to be similar in services as those in the five star rating. But beware that there is a wide variety of quality within the four star rating so it is wise to read the reviews. The three star category was suffering for a while in Seville. Whether it was the requirements or the demand, there were few options in this category five years ago. Things have changed, and now you can find several good options. You'll get breakfast service (often at an extra charge) and a little more comfort. Prices should be more reasonable as well. Do expect a drop off in extra services when compared to four and five star hotels. 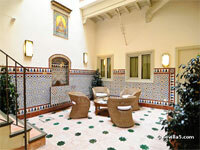 There has always been a lot to choose from in the two star category in Seville. These should be a step above one star hotels and nice hostals, often with some additional services such as breakfast. Rooms can be small, but larger than a hostal. You will of course get a private bath as well as air conditioning and heating (any establishment in Seville classified as a hotel must have these amenities). 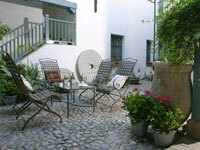 There are some cozy little two stars in Seville which offer a very good value. 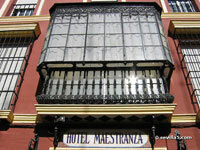 Full list of 2* Hotels in Seville. When you are looking for cheap and hopefully clean accommodation with a little more than a hostal. Expect minimum services and rooms just a little bigger than some hostals. As mentioned above, always expect a private bathroom, air conditioning and heat. When looking at one star hotels consider both two star and hostals as alternatives. In many cases there is not much difference in price and amenities. 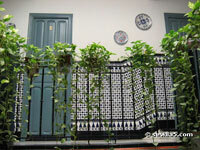 There are plenty of alternatives when it comes to budget accommodation in Seville. Hostals are not to be confused with youth hostels or backpacker hostels. Think of hostals as small, often family run hotels. The key difference between hostals and backpacker hostels are that all rooms are private: you will not share your sleeping quarters with other guests. Also do not be fooled by the category: some hostals are nicer than 1 and 2 star hotels. But then again, there may be some 1 and 2 star hotels which are cheaper than some hostals. In general the rooms will be smaller than rooms in hotels. Also note in Seville there are very few hostals (when compared to other cities) which offer breakfast service. Pensiones, or in my Spanglish, pensions, are often a little cheaper than hostals. Like the above hostals, you will not share your sleeping quarters with other guests. However, many of these type of establishments may only offer rooms with shared bath and perhaps without air conditioning and/or heating. But understand this depends on each establishment: some pensiones may offer air conditioning, heating and a private bath in the room. So always check the details for services and amenities that you may be looking for before deciding on whether this type of accommodation will work for you! 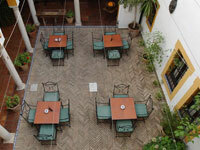 Over the last three to four years a good number of these establishments have opened in Seville. These backpacker hostals cater to the younger crowd and the cheapest option for sleeping is in a room with other travelers, normally in bunk beds. In this case you get a locker to store your stuff securely. Many times you can arrange for a private room if you pay more. Expect additional services such as kitchen facilities, washing machines and internet access, while several may have their own bar and larger chill out spaces to mix and mingle with other people. 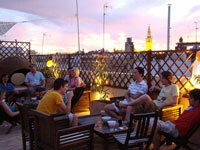 Some have activities planned such as bar or tapas tours. The pros are perhaps a more social atmosphere and the additional services for independent travelers. The cons: a lack of privacy as well as the possibility of a more rowdy atmosphere.